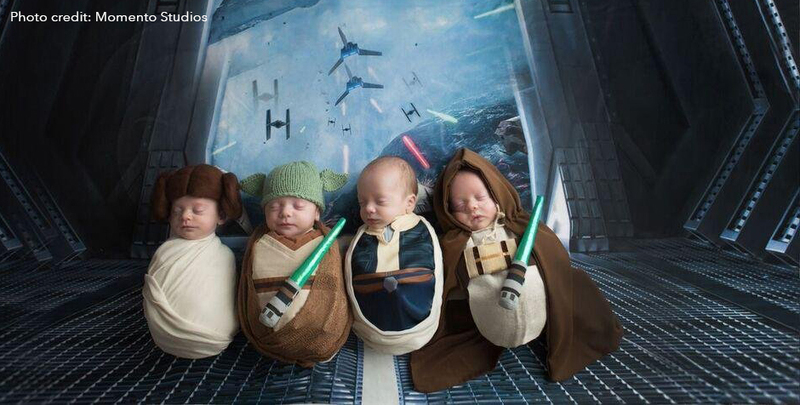 May 4th is Star Wars Day, and some families expressed their loyalty to the saga with Star Wars themed photo shoots featuring their newborn babies. From costumes highlighting Princess Leia, Yoda, and Luke Skywalker, the Force is clearly strong with these ones. See some of the best photo shoots celebrating the gift of new human LIFE.